How does someone with a name like Patricia Moore, a second generation Californian, claim to have Béarnais blood, one quarter Béarnais blood at that? My maternal grandfather who came to Los Angeles from Eysus in 1888 is full blooded Béarnais. 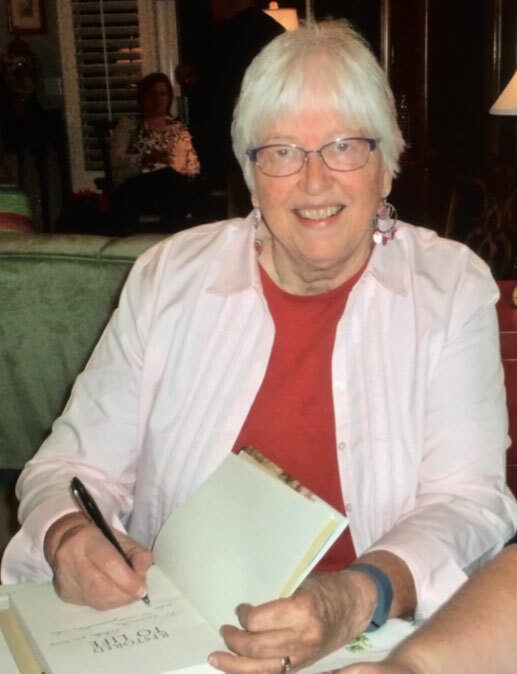 When I started my research for my book entitled Restored To Life about my maternal grandmother, I had no idea what I would find, not only about her ancestors but those of her husband as well. My first connection to Eysus goes all the way back to the year 1959 at the end of my Junior Year Abroad in Paris. In June of that year when I went back to Biarritz from Paris to say goodbye to my host family, they took me to Eysus to see what we could find about my grandfather. I remember three of us went in a 2 chevaux camionette. We were shown a house purported to have been lived in by a Domecq family and we also visited the church where the curé copied out my grandfather’s baptismal certificate along with his sister Madeleine’s and their parents’ wedding registration. Reading what he wrote was the first time I had ever heard the name Sarrail Lacarrieu (Lacarriu). Fast forward to October of 2015 when I went to Eysus for the third time. 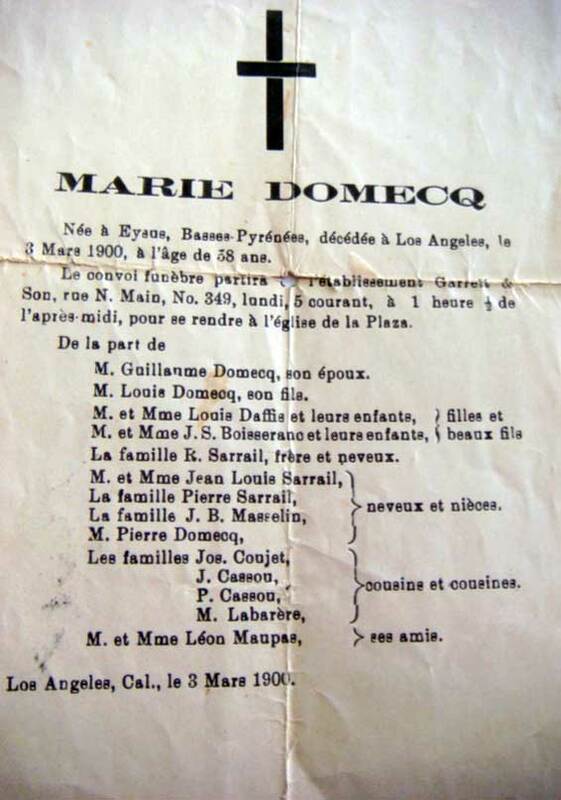 By this time, some 57 years later, I had researched my Béarnais ancestors and included their story in my book, so now I wanted to retrace my great grandmother’s journey in 1888 from Eysus to Los Angeles. She packed up what they could carry and she brought her three children from their native village in the Béarn to L.A. where her husband and one of her brothers was already living. For my second cousin once removed, Nancy Secrest Hare, the great granddaughter of one of my grandfather’s sisters, and me this meant starting backwards from California (S.F) going from Paris where we landed to their port of embarkation, Bordeaux (they left on June 8, 1888, on the S.S. Chateau Lafitte bound for New York), back to Pau where they took the train for Bordeaux, to Oloron where they must have taken a sort of stagecoach to get to the train station, and finally to Eysus their native village which they were leaving forever. Nancy and I were welcomed into the home of a possible distant cousin (the link has not yet been established) Jean-Pierre Lacarrieu and his wife who live in Préchaq. Jean-Pierre’s roots are in Lasseube. He drove us everywhere after meeting us at our hotel in Pau. Rain or shine, we went from Lourdes to Eysus, visiting Arudy and Oloron among others, in between. Naturally, the weather was lousy when we visited Oloron and Eysus. My best photos, therefore, were taken indoors, inside the médiathèque with Régine Péhau in Oloron and inside the church of Saint Pierre in Eysus. However, I can’t resist adding one picture of the view from the churchyard in Eysus to accompany this recounting of our visit to Eysus. 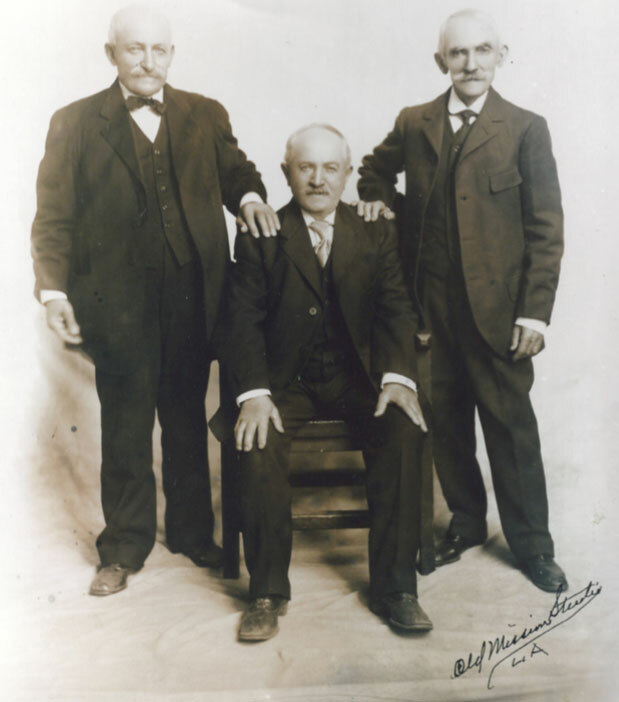 and her three brothers, all of whom died in California: Bernard Sarrail Lacarrieu (1834-1918) Louis Sarrail Lacarrieu (1837-1927) and Roch (Rock) Sarrail (Lacarrieu) (1839-1924). 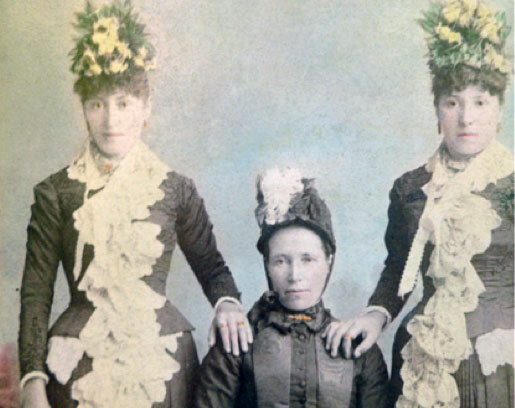 Thanks to Jean Masounabe of the Association for the Memory of Emigration from the Pyrénées I learned a few weeks ago that Marie had an older sister Catherine, born in 1842, about whom we know nothing more. Also, Marie had to say goodbye forever to her mother Madeleine, leaving her in Eysus where Marie’s brothers Bernard and Louis and their families were living at the time. Madeleine Cassou Sarrail Lacarrieu was born in 1806 and died in January of 1889. This entry was posted in Family Histories by Christiane. Bookmark the permalink. Chapeau! Christiane. Le transfer des photos est genial!! Entièrement d’accord, Jean-Pierre! Il se peut que Christiane nous aide!